The yummiest sandwich in history becomes a protein-rich Quest Bar with a taste that matches, bite for bite. 20g protein and 6g net carbs* mean this is one sandwich you can carry in your pocket for nutritious anytime enjoyment. *8g Carbs – 2g Erythritol = 6g Net Carbs. Every delicious Quest Bar flavour has 20-21 grams of protein and plenty of fibre without a lot of unnecessary ingredients or extra carbs. All Quest Bars are gluten and soy free, and contain no added sugar*. 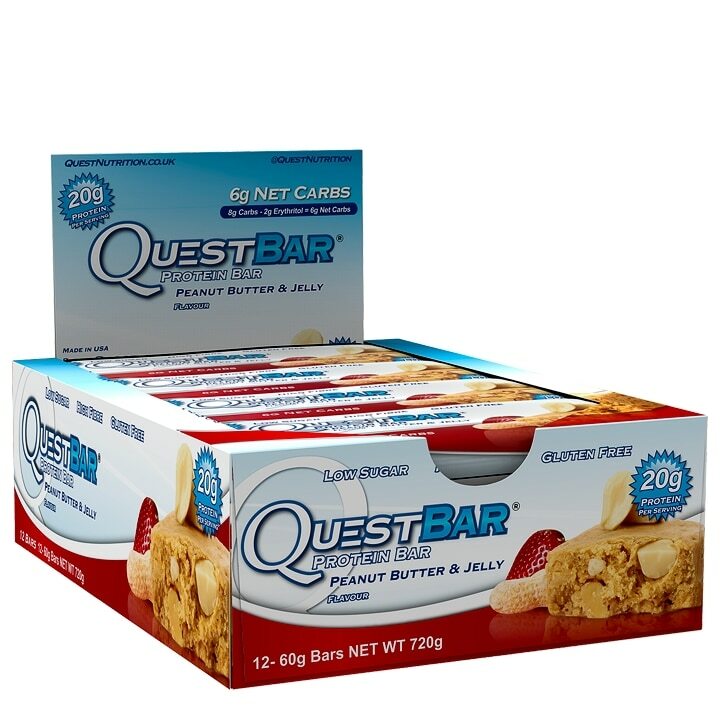 Quest Bars are helping us inspire a global #CheatClean revolution, reframing the conversation around nutrition. This is the bar that promises food can taste as good as it is good for you. With Quest Bars, you can eat toward your goals and love every bite along the way. *Trivial amount of naturally occuring sugars from different ingredients. Protein Blend ( Milk protein Isolate, Whey Protein Isolate (Milk)), Soluble Gluco Fibre, Peanuts (21%), Almonds, Water, Flavourings, Bulking Agents (Erythritol), Palm Oil, Sea Salt, Colour (Calcium Carbonate), Sweeteners (Sucralose, Steviol Glycosides).